Travel smarter using alternative transportation options to ensure you get the most out of ArtPrize this year. The transformation of downtown Grand Rapids into a giant art gallery is well underway. 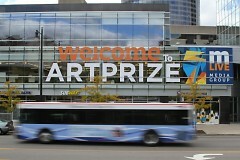 ArtPrize is almost here with opening day starting this Wednesday, September 21 running through October 9. And in ArtPrize’s eighth year as an event, there’s even more to love. Once again, The Rapid and ArtPrize have partnered up to offer the coveted ArtPrize Metro Pass. Available for just $5, you’ll also get an ArtPrize Eight Event Guide and Map to help you navigate the event with ease. 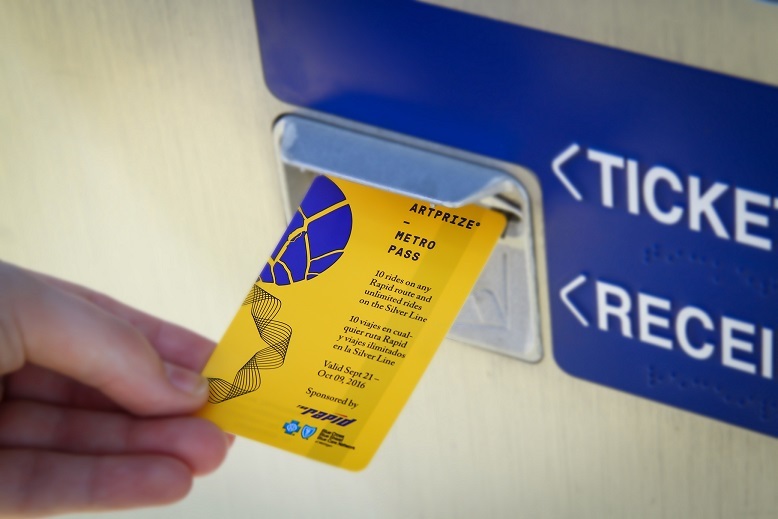 You can pick up you ArtPrize Metro Pass bundle at seven area Meijer locations--that also double as park-and-ride lots--and the ArtPrize Hub. 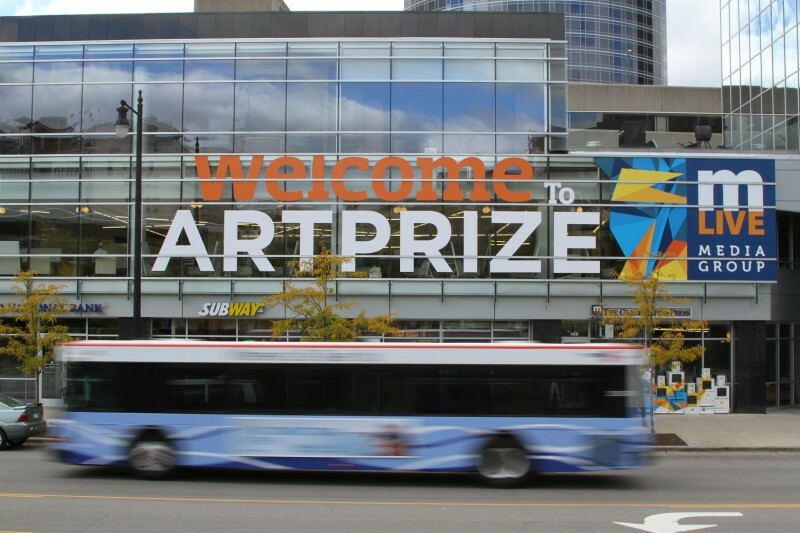 Another wallet-friendly option to consider during ArtPrize Eight is the free DASH shuttle service from Grand Rapids parking lots. The Silver Line is also free to passengers when traveling within the No Fare Zone throughout downtown Grand Rapids. Just park your car in the appropriate lot and hop on board. New to ArtPrize this year, Neighborhood HUBs are located throughout the ArtPrize district. These HUBS function as ArtPrize-operated visitor service locations at eight major venues including the original ArtPrize HUB/HQ at 41 Sheldon Blvd. Each HUB serves as an entry point to the event, a place to register to vote, get more information and find out more about specific tours and events. Don’t forget to check out the new ArtPrize Passport Program at HUBs for a chance to win awesome prizes. ArtPrize invites visitors to take part in efforts to contribute to environmental sustainability. From alternative transportation options to composting and everything in between, there’s so much for visitors to take part in to create a more sustainable future. This year, ArtPrize has partnered with the City of Grand Rapids, Kent County and WMEAC to increase city-wide waste diversion, recycling and composting efforts. They’re also happy to bring back the ArtPrize Water Share Program for the third year as a way to reduce the prevalence of single-use water bottles. For first-time Rapid riders, don’t forget to check out our how-to guide to ensure you have a smooth first ride. We hope you’re looking forward to ArtPrize just as much as we are! See you on board.